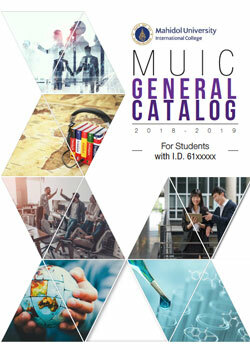 The Mahidol University International College online catalog is prepared on the basis of the best information available at the time of publication. It is for informational purposes only and does not constitute a contract. Courses are not necessarily offered each term or each year. Individual should be consulted from the curriculum and the division for information regarding regularity of course offerings. 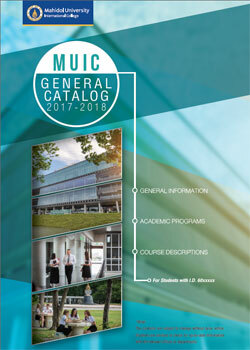 The catalog is in PDF file format.